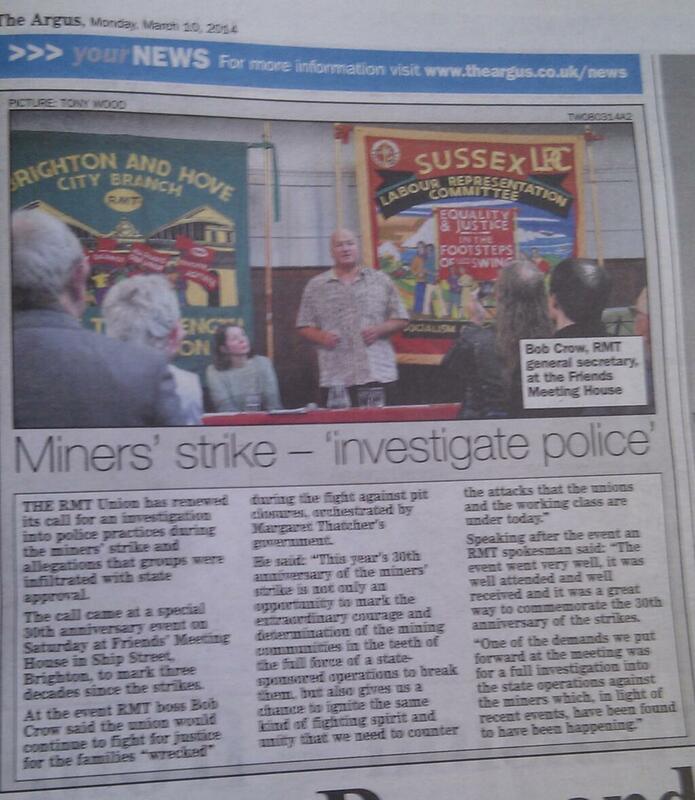 Speakers & performers: Bob Crow (RMT), Simon Weller (ASLEF), Robb Johnson, the Malthouse Duo with Charlie Anderson, Terry Harrison (Betteshanger NUM), Liz French (Betteshanger Women Against Pit Closures), Joy Hurcombe (Labour CND), Gary Cox (Kent Miners’ Festival), Adriano Merola Marotta (one of the Sussex 5) and Kate Smurthwaite. Chairs: Claire Wadey and Andy Richards. We were privileged to be at the LRC on Saterday 8th March to see Bob Crow & hear him talk.